Captain America: Civil War has been out for just over two weeks, but it’s already one of the highest grossing superhero films ever. It’s the third comic book film released in 2016, but there’s little doubt that it’s going to out perform its competitors at the box office. In this short space of time, the film has almost topped the final total for Captain America: The Winter Soldier. Civil War has now passed $700M worldwide, with the total reaching $705 million. Winter Soldier finished its run on over $714 million globally, which doubled the final take for Captain America: The First Avenger. The Captain America franchise is in great shape, but could the latest instalment become the fourth Marvel Studio’s film to cross the $1 billion mark? Right now that seems like a given. 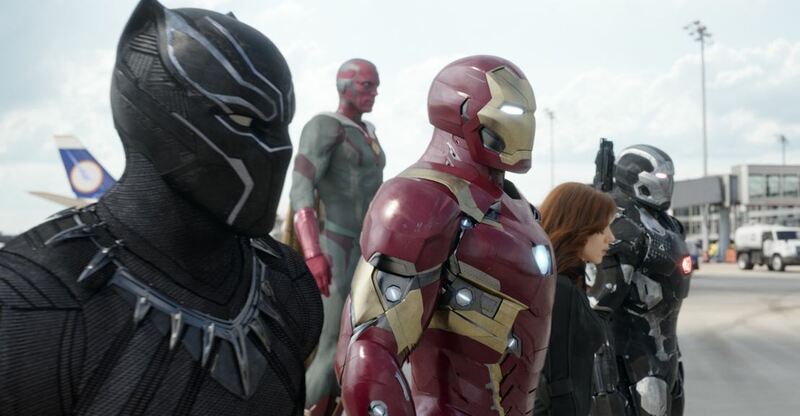 #CaptainAmericaCivilWar smashed $700M global MON. $13.3M dom, $8.8M China, $10M other intl. Totals $192.5M dom, $512.8M intl, $705.3M ww. Comparing Civil War to Batman v Superman: Dawn of Justice tends to bring about a pretty angry response. So we’re going to do it while cowering behind Cap’s shield. Or Wonder Woman’s shield. Batman v Superman has currently made just shy of $868M after opening in March. While that’s a total we’d happily take ourselves, Disney will be expecting a bit more. They spent just as much on Civil War as they did for Avengers: Age of Ultron. They’ll probably want similar returns, too. If it performs as well as The Avengers‘ sequel, it should topple the DC release over the weekend. That would also see it take over Fox’s Deadpool, which ended up with an incredible $761M. The numbers for the Russo Brothers’ film are adding to an incredible year for Disney, who are setting all kinds of records. The Mouse House has taken over $1 billion at the US box office in 2016 alone, according to Box Office Mojo. Civil War should help add to that tally, before the release of Doctor Strange and Star Wars Anthology film Rogue One later this year.